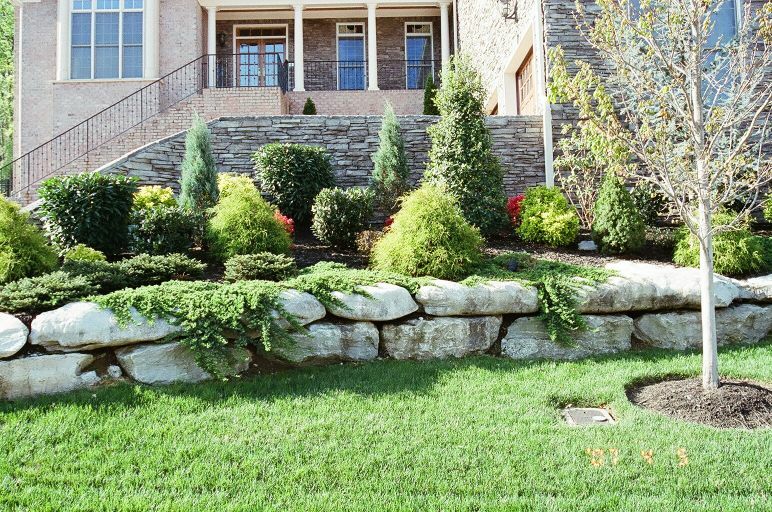 Principles refer to standards or prescriptions for working with or arranging various elements to produce the intended landscape design. 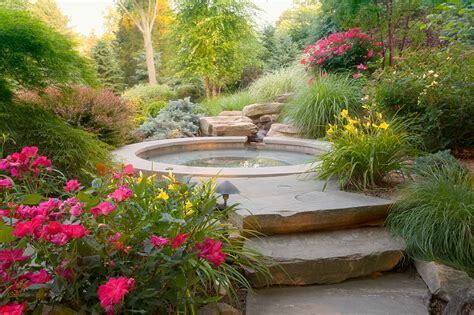 Good landscape design follows a combination of seven principles: unity, balance, proportion, focalization or emphasis, sequence or transition, rhythm, and repetition. Unity refers to the use of elements to create harmony and consistency with the main theme or idea of the landscape design. 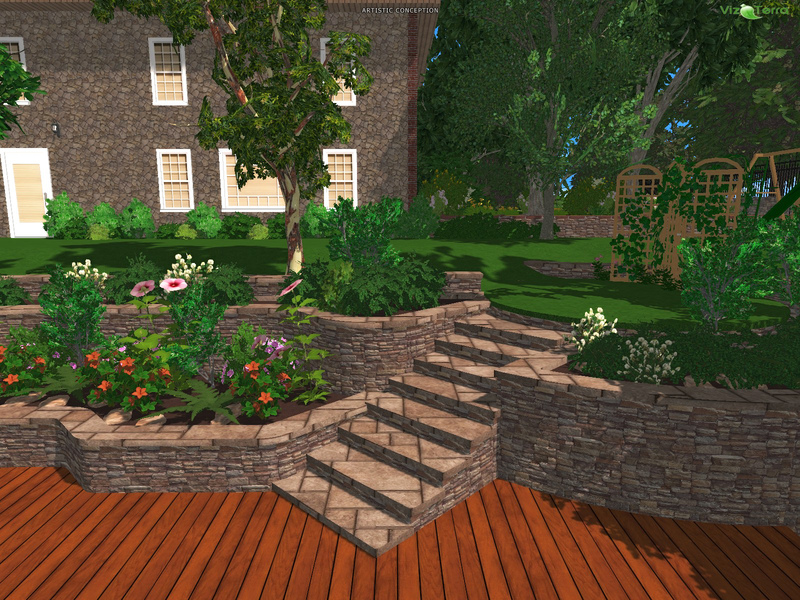 Unity gives the landscape design a sense of oneness and interconnection. 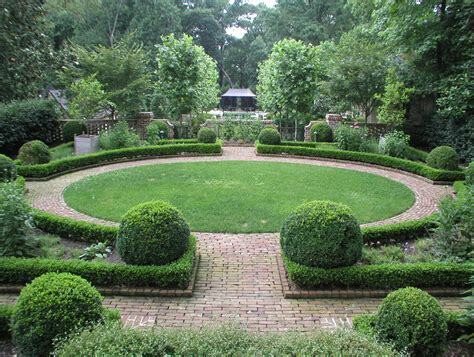 Unity in landscape design can be achieved by using plants, trees, or material that have repeating lines or shapes, a common hue, or similar texture. However, too much unity in landscape design can be boring. 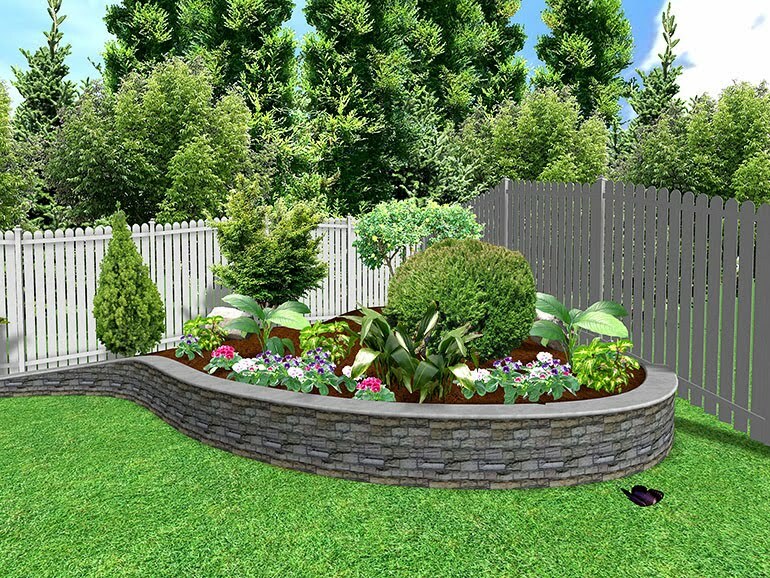 Therefore, it is important to introduce some variety or contrast into the landscape design. Balance gives the landscape design a sense of equilibrium and symmetry in visual attraction. 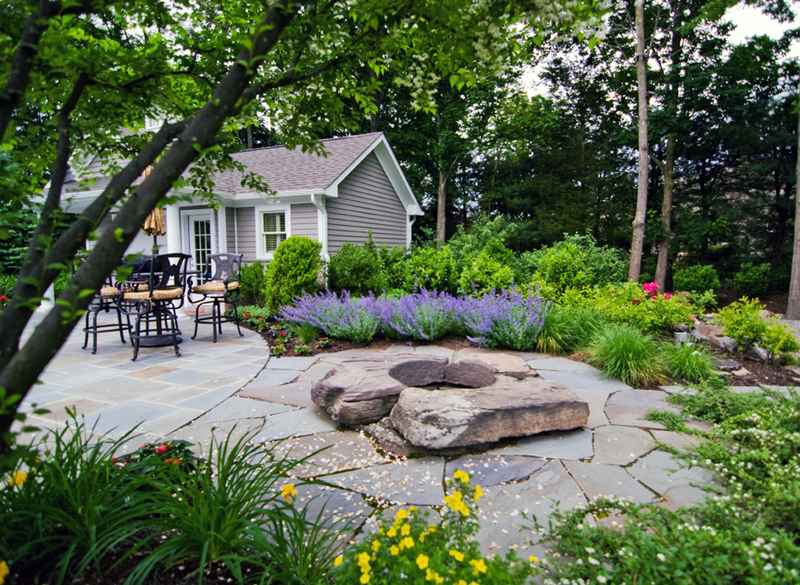 There are three ways by which balance may be presented in landscape design. Symmetrical or formal balance is achieved when the mass, weight, or number of objects both sides of the landscape design are exactly the same. Asymmetrical or informal balance in landscape design suggests a feeling of balance on both sides, even though the sides do not look the same. Asymmetrical balance in visual attraction may be achieved by using opposing compositions on either side of the central axis. Landscape design with radial balance has a center point. A sunflower, a wheel, and the cross-section of an orange all have radial balance. Proportion describes the size relationship between parts of the landscape design or between a part of the design and the design as a whole. 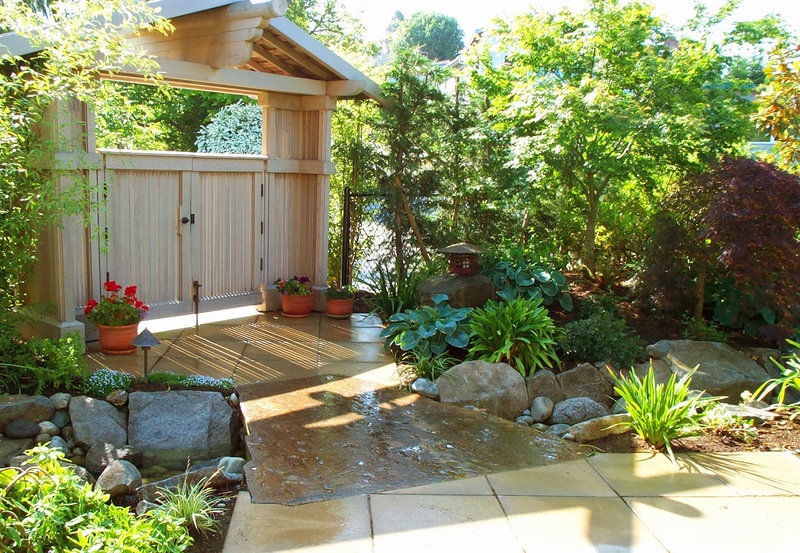 A large fountain would cramp a small backyard garden, but would complement a sprawling public courtyard. 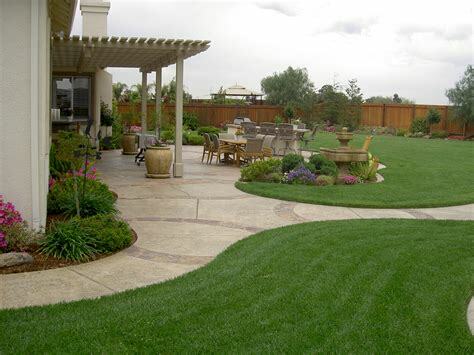 Additionally, proportion in landscape design must take into consideration how people interact with various components of the landscape through normal human activities. Focalization or Emphasis directs visual attention to a point of interest or prominent part of the landscape design. This could be a hanging earth-forms sculpture, a stone-finished Corinthian garden fountain, a mass of architectural herbaceous perennials, or an elegant spruce. Emphasis in landscape design may be achieved by using a contrasting color, a different or unusual line, or a plain background space. 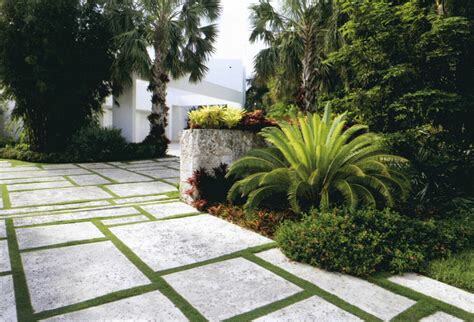 Paths, walkways, and strategically placed plants lead the eye to the focal point of the landscape without distracting from the overall landscape design. 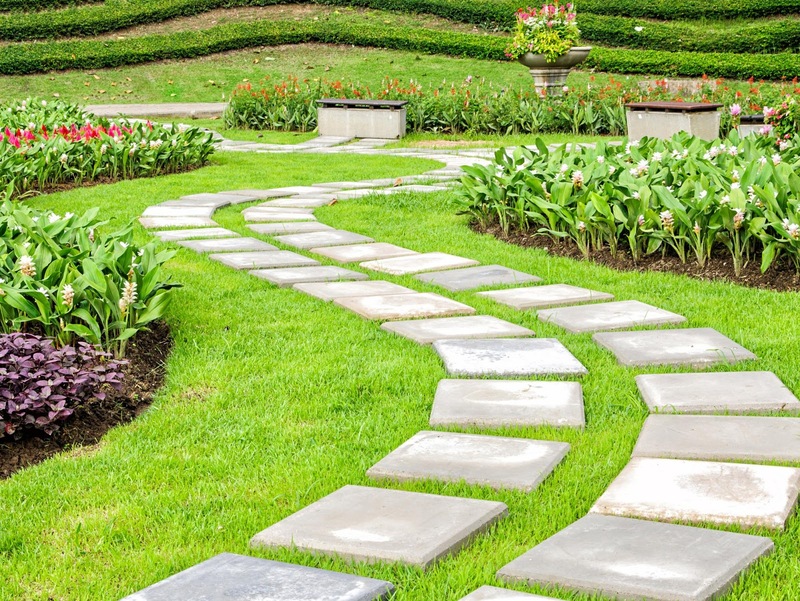 Sequence or Transition creates visual movement in landscape design. 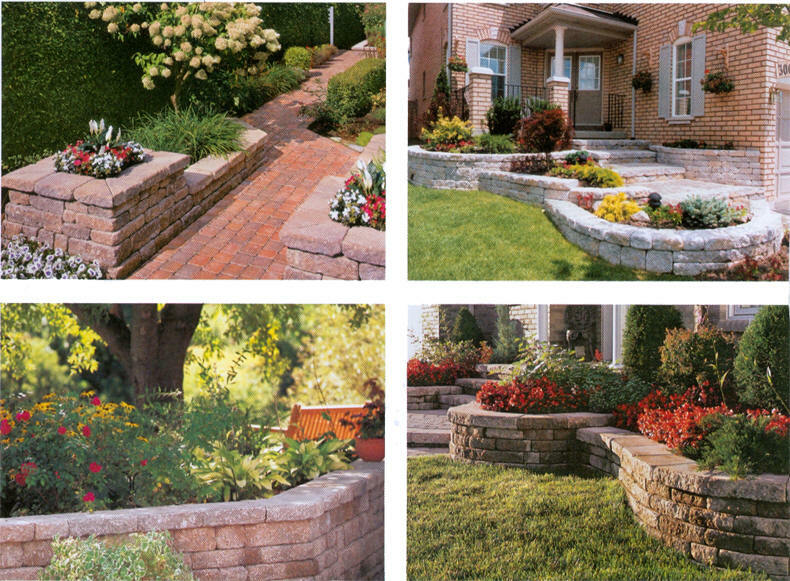 Sequence in landscape design is achieved by the gradual progression of texture, form, size, or color. 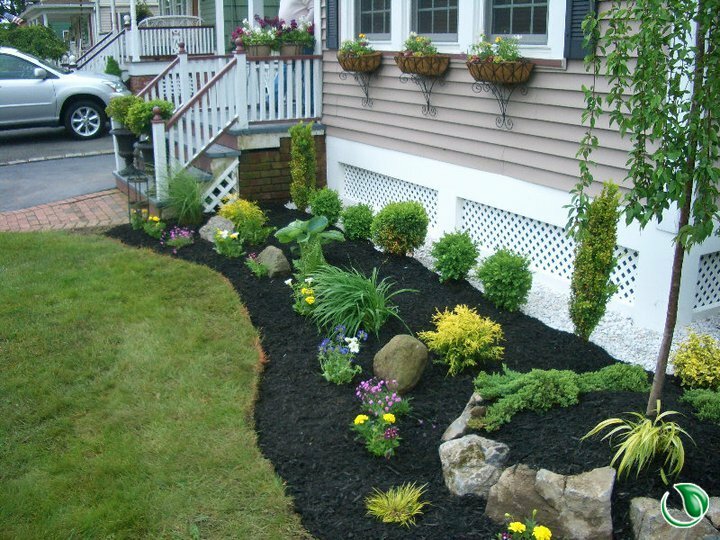 Examples of landscape design elements in transition are plants that go from coarse to medium to fine textures or softscapes that go from large trees to medium trees to shrubs to bedding plants. 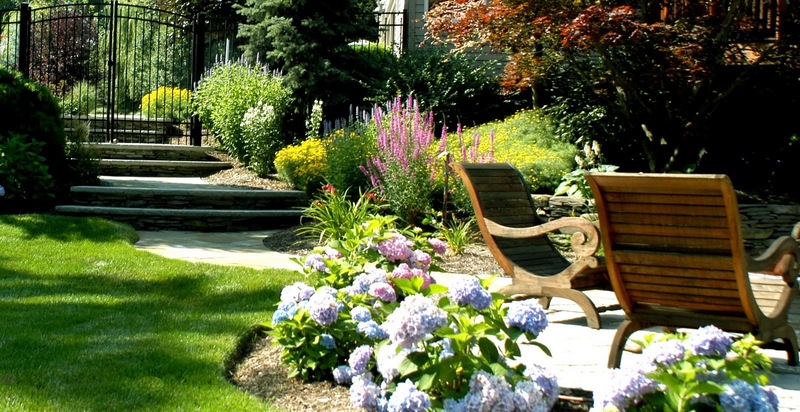 Transition in landscape design may also be used to create depth or distance or to emphasize a focal point. Rhythm creates a feeling of motion which leads the eye from one part of the landscape design to another part. Repeating a color scheme, shape, texture, line or form evokes rhythm in landscape design. 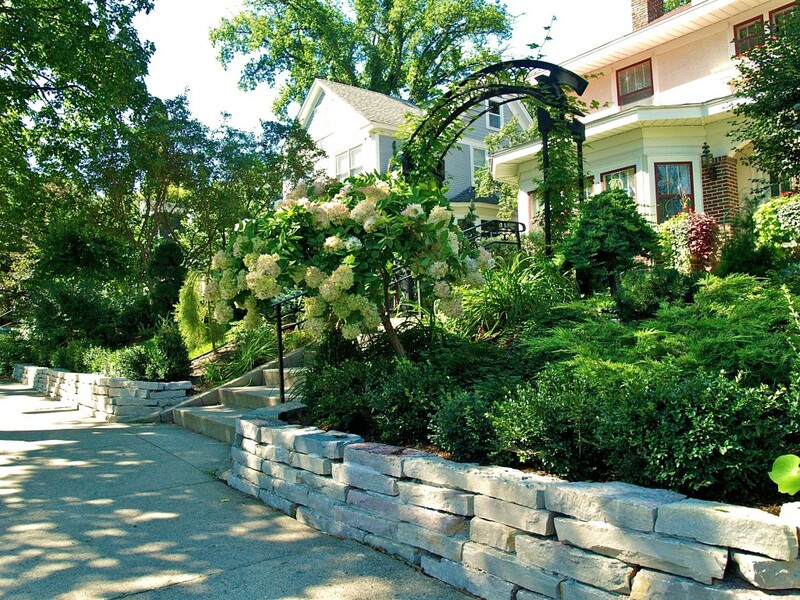 Proper expression of rhythm eliminates confusion and monotony from landscape design. And finally, repetition in landscape design is the repeated use of objects or elements with identical shape, form, texture, or color. 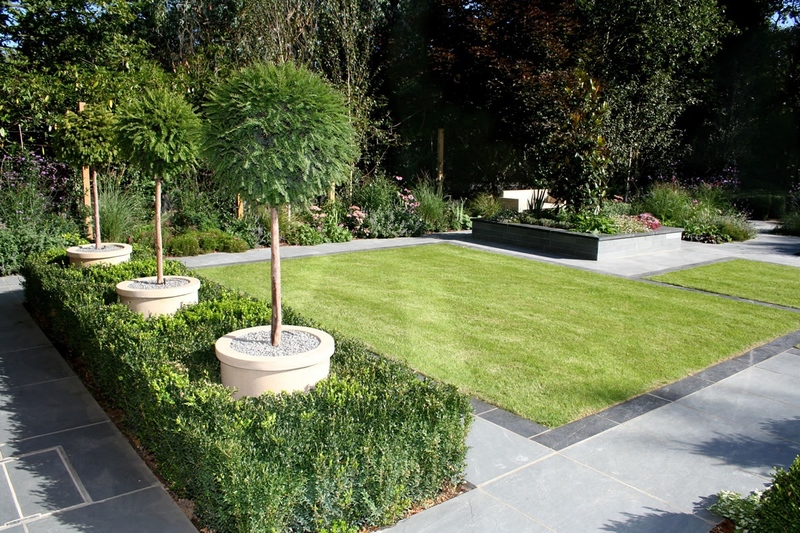 Although it gives the landscape design a unified planting scheme, repetition runs the risk of being overdone. However, when correctly implemented, repetition can lead to rhythm, focalization or emphasis in landscape design.